SUPER CLEAN CUSTOM BRICK HOME BUILT in 2014. 3300 SQ.FT. 5 large bedrooms, Huge kitchen with granite countertop, Breakfast Nook area, First floor Master bedroom with full bath & Walk in Closet. Beautiful floor plan with huge cathedral ceiling . Hardwood & porcelain tiles floor , 3 full baths with 2 car finished attached garage, full basement with an Egress window. Two furnace and two central air condition. Very Spacious HOME! Hello, I’m interested in 7248 N Vernon Street and would like to take a look around. 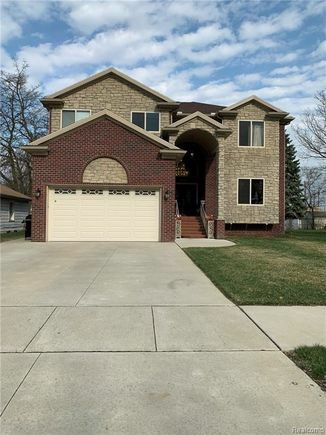 The details on 7248 N Vernon Street: This house located in Dearborn Heights, MI 48127 is currently for sale for $519,000. 7248 N Vernon Street is a 3,297 square foot house with 5 beds and 3 baths that has been on Estately for 1 days. This house is in the attendance area of Hillcrest Elementary School, Riverside Middle School, and Crestwood High School.